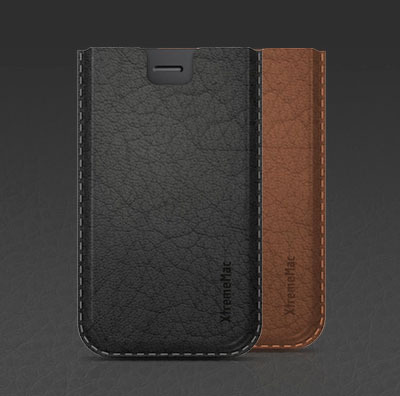 This iPhone 4 Leather Sleeve by XtremeMac has a premium leather exterior and a microsuede interior. Protect your iPhone 4 in style with this form-fitting leather sleeve which also includes both screen and back Tuffshield protectors. The iPhone 4 leather sleeve comes in black and brown.